Feeling a little wild today? Why not work a colorful streak (or two, or three) into your mane without the commitment—not to mention toxicity—of semi-permanent hair dyes? 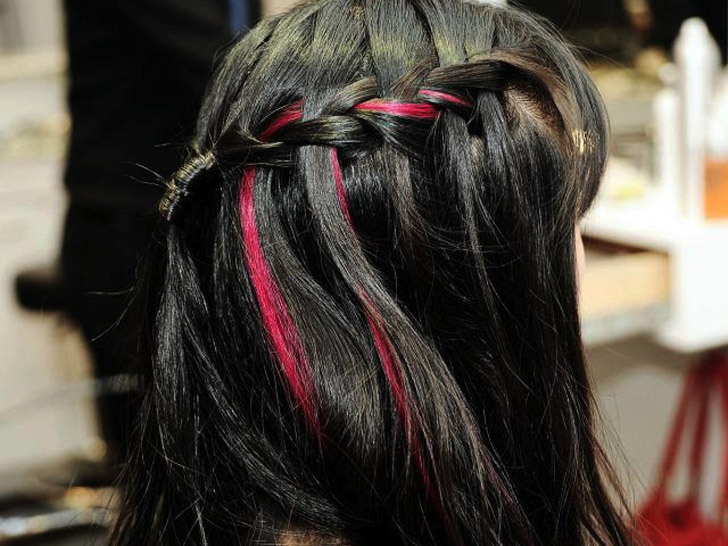 “Hair chalking,” Hollywood’s latest obsession, is as easy as it sounds. No fancy concoctions, expensive stylists, or complicated instructions are necessary: Simply grab a few sticks of soft pastel chalk from your art-supply box and rub the desired color onto your hair. The do-it-yourself “treatment” lasts for a day or two or until your next shampoo, whichever comes first. Like dry-shampoo powders, the color-chalk particles cling to the dirt and oil in your hair. Spraying your hair with water can also help it absorb the pigment better—that is, unless you have fair hair, in which case the chalk could stain and be difficult to remove. Like dry shampoos, the color-chalk particles cling to the dirt and oil in your hair. When it comes to the brand of chalk, hair professionals such as Kristin Ess, whose clients include reality-star-turned-designer Lauren Conrad, swear by Sennelier. Because the French company uses a finer-grade chalk, its sticks promote the smooth application of color without caking. Whatever you do, don’t confuse chalk pastels for oil pastels—removing the latter is next to impossible. To wash the colors out, Dizon recommends using a clarifying shampoo, then conditioning those follicles like your life depended on it. The only trouble with claiming that this is entirely non-toxic is that is isn't. High quality artist's pastels like Sennelier can contain toxic pigments which are easily inhaled in chalk form, as well as chemical binders. 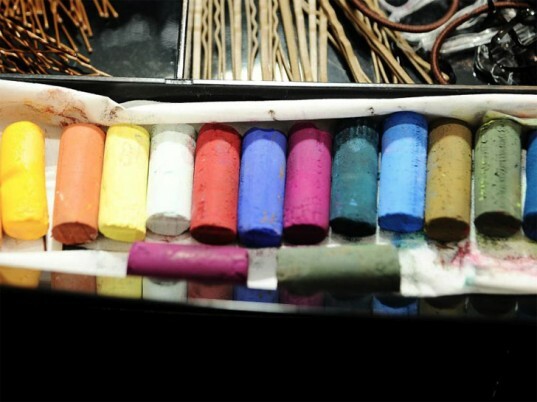 Cadmium, cobalt, lead and more are all found in artist's pastels. If you choose to use this method, you need to be sure you only buy pastels labeled 'non-toxic.' Even then, inhaling the chalk dust is not good for your lungs.